Editor’s Note: The migrant workers of Kerala contribute to two-third of the State Domestic Product - directly and indirectly. While migration is considered as one of the most productive industries, it is the stories of the families that get overlooked in the telling of Kerala's economic progress. In this multi-part series, Firstpost looks at these migrant populations and its socio-economic impact. There has been rising concern in Kerala over the shrinking opportunity for international emigration in the wake of the increasing naturalisation of labour and conflicts in West Asia, tightening of immigration laws by the Western countries as well as the continuing global economic crisis. But demographers and gender experts feel that the new wave of migration that the state is witnessing now could make up for the loss. The new generation of emigrants are highly educated and professionally qualified women who stayed back in Kerala when the men made most of the chances abroad, especially in the Gulf countries, after the oil boom. These women are able to earn more as professionals like nurses earn three to five times more remuneration than majority of their counterparts, who are mostly unskilled workers living in West Asia, says Praveena Kodoth, a gender expert. Moreover, it has been noticed that women send home more money or save more while men spend a good portion of their earnings on personal expenses. Demographers feel that the contribution of female emigrants could be one reason for the steady rise in remittances despite a surge in the recent reverse flow of emigrants. 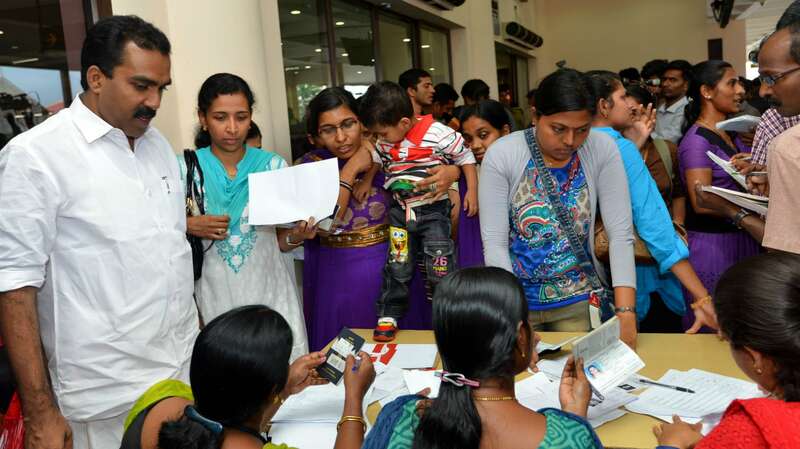 Though the number of the returned emigrants increased from 7.4 lakhs in 1998 to 11.6 lakhs in 2008, the remittances had increased from Rs 13,652 crores to Rs 43,288 during this period, according to studies by the Centre for Development Studies (CDS), Thiruvananthapuram. There has been a steady increase in the number of women emigrants since late 90s. The Kerala Migration Survey (KMS) showed that the percentage increase in emigration was 124 percent among the females as against 24 percent among the males during 1999-2004. According to the KMS, there were 3.9 lakh female emigrants in 2004 as against 15.29 lakh male emigrants. The women constituted 16.8 percent of the total. Five years earlier in 1999, the numbers were 12.35 lakh male migrants as against 1.27 lakh female emigrants. Female migrants were 9.3 percent of the total. During 1999-2004, while the number of male emigrants increased by 2.94 lakh, the number of female emigrants increased by 1.82 lakh. The KMS noted that female emigrants were better educated than male emigrants. Among those who reported their educational attainment, 28 percent of the female emigrants had a degree, but only nine percent of the male emigrants were degree holders. About 38 percent of the female emigrants had passed the secondary level of education, but only 29 percent of the male emigrants had secondary education. Among the emigrants, 7.4 percent were women, but among degree holding emigrants as much as 20 percent were women. The proportion of female emigrants varies considerably by religion and by district of origin. Christian emigrants include the largest proportion of women, 32 percent, while Muslim emigrants recorded at eight percent. French national Marie Percot, who had done an extensive study on Indian nurses in the Gulf, said the nurses formed a major chunk of the female migrants. “Some of the female migrants are housewives who followed their husbands, some others are employed as secretary or other office jobs, some others are maid servants, but a large number of them are nurses,” Percot said in her study titled 'Indian Nurses in the Gulf: two generation of female migration'. Percot estimates the number of Indian women working in the Gulf as nurses to be between 40,000 and 60,000. Percot, who spent several months in Oman and UAE studying pattern of nurses’ migration, said that 90 percent of the nurses in the Gulf had originated from Kerala. Kodoth, who co-authored a study on international mobility of nurses from Kerala, supports Percot saying that the nursing personnel in all major cities in the country too were dominated by Keralites. “Impressionistic estimates suggest that 80 percent of nursing staff in Hyderabad hospitals are from Kerala as are 60 to 70 percent in Bengaluru and close to 80 percent of nurses in Delhi and Pune. 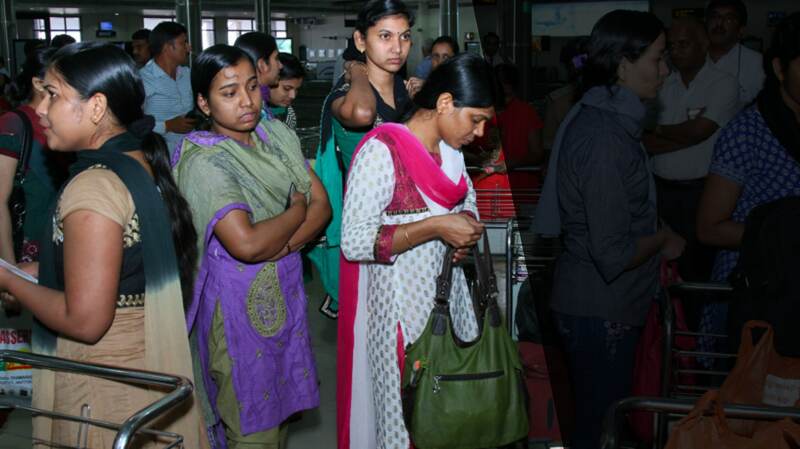 Half the nurses in a sample of 40 aspiring migrants in a hospital in Delhi studied were from Kerala,” said the study conducted jointly by Kodoth, an associate professor at the CDS, and Tina Kuriakose Joseph of India Centre for Migration, Delhi. Percot argued that Hindus had not taken to nursing in the beginning because of two key notions of pollution and purity that Hinduism adhere to. But Christians considered nursing as part of traditional values of their faith. Nursing in India was pioneered by Christian missionaries. Kodoth said that the situation now was different. She told Firstpost that a large number of Hindu and even Muslim girls were joining the nursing profession. She said that many Hindu and Muslim nurses had started working in hospitals not only in Kerala but also in other parts of the country and even outside. A majority of the nurses from Kerala are working in West Asia. She, however, noted that the ultimate destination of Kerala nurses were the US and European countries. She said that majority of the nurses, particularly the Christians, considered the Gulf as a stepping stone to the West. They work in Gulf for two to three years to gain experience and mobilise money required for further migration to the West, she added. Kodoth said that the Indian nurses started looking westward after most of the OECD countries faced acute shortage of nurses in the wake of the ageing population and growing proportion of workers retiring. She said that most of these counties were diversifying strategies to recruit more nurses from India. Kerala nurses had started migrating to Europe since 1960s. The initial flow was to Germany and Italy. Kodoth said about 6,000 Indian nurses, mostly Catholics from Kerala, had gone to Germany in the 1960s to help meet shortages of health staff in many hospitals in the country there. These nurses went to work mostly in Catholic hospitals and homes for the elderly. Priests and nuns who went from Kerala were the key enablers. Many Christian hospitals in the OECD countries facing shortage of nurses also sought the help bishops in Kerala. Late Cardinal Mar Joseph Parecattil had sent many Christian nurses to Switzerland and Austria while he served as Archbishop of Ernakulam. Susy Thomas from Kottayam was one among them. She told Firstpost that she had got the job in Switzerland in 1976 with the help of an acquaintance of the prelate. She helped her husband and other friends also to migrate to Switzerland. She said two of her cousins had migrated to Italy with the help of a nun serving the Church there. Kodoth said that hospitals in Vienna had recruited nurses from the state in the early 1970s through a Catholic order ‘the Queen of the Apostles’ founded in 1923 for missionising in India. She said, “The network of the Catholic church as well as personal and social networks were critical in initiating and sustaining this migration. Recently too in the context of the slowing down of migration because of the economic crisis, the Catholic Church set up a help desk to help trained nurses looking to migrate to the European countries,” Kodoth said. Though the World Health OrganiSation (WHO) has estimated a shortage of almost 4.3 million nurses, physicians and other health human resources worldwide, recruitment agencies said many countries were not making any serious attempt to fill the vacancies. They attribute this to the lingering effect of the global economic recession. A recruiting agent in Kochi said that there has been a 40 percent drop in global recruitment of nurses from India. He said that most countries were restricting nurses intake by tightening immigration laws and imposing restrictions on visa. Kodoth said that nurses from the state could also face tough competition from other suppliers since there has been a steady drop in the quality of nursing education. The recent spurt in nursing recruitment has led to exponential growth in nursing schools and colleges. Most of them do not have basic infrastructure and qualified faculty. George Jacob, a senior specialist at a hospital in Kochi, said the students churned out by most of these private colleges were unemployable as they had no practical experience. The students in most of these colleges were taught nursing without nursing a single patient during their course. He said that they may have to be trained by hospitals recruiting them before entrusting patients to their care.